LeBard Stadium is the home to the Orange Coast College Pirates and the Golden West College Rustlers football teams. Originally named Pirate Stadium, it was renamed in 1967 for Harry R. LeBard, a community leader and a founding member of the community college district's board of trustees. 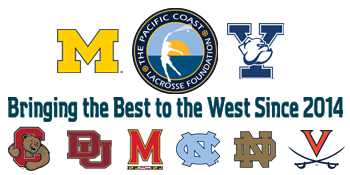 No stranger to big time lacrosse, LeBard Stadium played host to the inaugural Pacific Coast Shootout in 2014 which showcased Denver and Notre Dame before a crowd of nearly 6,000 fans. In 2008, the MLL's Los Angeles Riptide played its last regular season home game against the San Francisco Dragons at LeBard. The all-time attendance record for LeBard came in 1962, when 10,000 piled in to see the OCC gridders take on Fullerton. The Pacific Coast Shootout has its sights set on that record. It was designed by Parker, Zehnder and Associates and built for $296,650, opening on September 16, 1955.